Thank you Krista, loved the entry and especially finding a playlist. 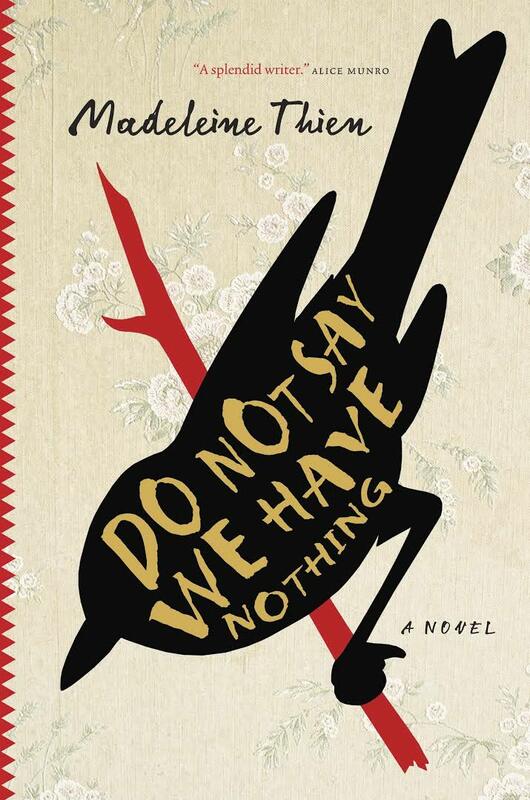 We are a book club in Santiago Chile, reading through Do Not Say We Have Nothing.. I shall quote you today! Hello! A book club in Chile? Wow, that’s awesome! How are you enjoying Do Not Say We Have Nothing? I had a lot of fun making that playlist. It was a labor of love to list each song and then find them on Spotify. Enjoy! I think hearing the music really offers insight into the characters and the book. I really appreciate the effort you go to with your book reviews Krista – you certainly are an avid reader! I have been labouring through this particular book by Madeleine Thien in recent weeks and just can’t get traction… Perhaps I’ll try reading it accompanied by the Spotify playlist you so kindly provided! Thanks for stopping by my blog and ‘liking’ the occasional post – it’s always great to receive feedback on my paintings and the adventures I have trying to tackle it each week. Why thank you so much for your lovely comment! DNSWHN isn’t for everyone, though I hope you can find your way back to it someday. Thank you for sharing your wonderful art with the world. I enjoy visiting your site. What a great review, Krista! I enjoyed reading it and liked it a lot. It must be a very powerful book. A book that educates must be added to my TBR list.